On February 4, 2007, in the biggest game of their respective lives, former Indianapolis Colt All-Star center Jeff Saturday and Hunter Hillenmeyer, a linebacker with the Chicago Bears, squared off against each other in Super Bowl XLI. Six years later, the two players now find themselves teaming up against the City of Cleveland for what they believe is an over-reaching of the city’s right to tax. In their separate suits, now pending in the Ohio Board of Tax Appeals, Saturday and Hillenmeyer each will challenge the Cleveland’s use of a ‘games day’ formula to apportion income within city limits. Both players assert that a ‘duty day’ formula would be more appropriate. Meanwhile, the National Hockey League (NHL) Players’ Association is considering a challenge to a tax implemented by Tennessee in July 2009 that is imposed on all NHL players who play in the state of Tennessee. Tennessee’s tax is a flat tax of $2,500 per game, capped at $7,500 annually. In essence, NHL players who make the league minimum are subjected to a state tax in excess of 100% of the income earned in that state. Nonresident taxation of professional athletes gained national attention in the early 1990s. Philadelphia began enforcing its city tax on nonresidents—athletes, to be specific— while Illinois implemented a nonresident tax on athletes in retaliation against California’s nonresident tax on Michael Jordan and his Chicago Bulls teammates following their 1991 National Basketball Association (NBA) Championship against the Los Angeles Lakers. Despite the publicity received from both Philadelphia’s and Illinois’s implementation of a nonresident tax on athletes—or “jock tax”—California had been taxing nonresident athletes since as early as 1968, while New York has been doing so since 1971. Although the U.S. Constitution establishes the dual sovereignty of the states and the federal government, the Supreme Court has on many occasions invalidated state tax measures on constitutional grounds. In such cases, individuals have challenged the constitutionality of a state income tax under either the Due Process Clause or the Commerce Clause. In the case of Tennessee’s Professional Privilege Tax, as applied to professional athletes in the NHL and NBA, my co-author Kari Smoker and I determined that the state’s tax failed Commerce Clause scrutiny because it is not fairly apportioned, it discriminates against interstate commerce, and it is not fairly related to the services provided by the state. For a comprehensive analysis, please refer to our article, Is Tennessee’s Version of the Jock Tax Unconstitutional?, which was published in the spring edition of the Marquette Sports Law Review. In this particular article, I’ll analyze Cleveland’s city tax and determine how it would stand up to a challenge under the Commerce Clause. Under the Commerce Clause, substantial nexus can be established either through physical or economic presence in the state. While Hillenmeyer traveled with his team to Cleveland for their game, Saturday was rehabbing in Indianapolis from an injury and did not travel with his teammates to Cleveland for their November 30th game against the Browns. Yet the City of Cleveland asserts its right to tax Saturday’s income for the day based on a city ordinance, which states that sick and injured players aren’t exempt from the jock tax. As stated in Jeremy Pelzer’s article in the Cleveland Plain Dealer, the city’s brief states that “[w]hen an employee takes a sick day, it would be an administrative burden to the taxing authority to determine where an employee is sick or injured”. Cleveland’s policy of taxing an injured player when he is not even present in Cleveland poses problems under the Commerce Clause. The fact that he is subject to a tax when he had neither a physical nor economic presence in Cleveland causes the tax to fail the substantial nexus requirement. The purpose of the fair apportionment requirement is to ensure that a jurisdiction taxes no more than its fair share of an interstate activity. At issue in Hillenmeyer’s case is Cleveland’s use of a game day formula to apportion his income for purposes of assessing the city tax. Although the Supreme Court has never specifically addressed the apportionment of a non-resident athlete’s income, there are several state court cases that provide guidance. The overriding construct is that there must be a reasonable attempt to realistically apportion income. In examining the merit of fair apportionment of income earned between different jurisdictions, courts have addressed both the duty and game day formulas. Cleveland’s game day formula takes into consideration the number of games played in Cleveland as a percentage of total games (including exhibition and playoffs) in the season. The ‘duty-day’ or ‘working day’ formula, on the other hand, considers the total number of days that an athlete performs services for his team (including games, practice, and participation in team meetings) in a particular jurisdiction as a percentage of total days in the season. This “duty day” formula is a much sounder approach. And, in any event, the city has clearly over-reached its right to tax Jeff Saturday under either method of apportionment for a day in which he was not even present within city limits. Cleveland imposes a 2% tax on income earned within the city by both residents and nonresidents. Therefore, the tax does not discriminate against either Saturday or Hillenmeyer, as they are both subject to the same rate of income tax as everyone else. The fourth prong under the Commerce Clause is whether the tax imposed by the jurisdiction is fairly related to the value of the services the city or state provides. In order for the tax to be fairly related to the value of the services provided, it must be assessed in proportion to the taxpayer’s activities or presence in the jurisdiction. Thus, it is closely tied to the taxpayer’s presence in that jurisdiction. Because Jeff Saturday had neither a physical nor economic presence in Cleveland, the city’s tax fails to be fairly related to the services provided by the city. Even though Hillenmeyer and Saturday’s cases are both pending in the Ohio Board of Tax Appeals, they are very different. While Hunter Hillenmeyer was physically present in Cleveland on game day and thus earned income within the city limits, Cleveland is assessing a tax on him that is not fairly apportioned. Cleveland’s “game day” formula overstates his taxable income. His case hinges on the Ohio Board of Tax Appeals’ interpretation of fair apportionment. 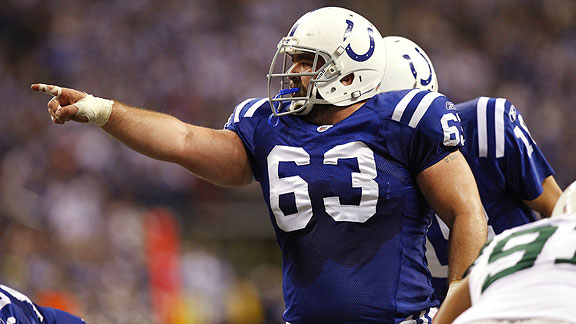 Jeff Saturday was absent for his team’s game against the Cleveland Browns. Yet he was still assessed a 2% tax on income that should have been apportioned to him only if he had actually traveled to Cleveland for the game. In Saturday’s case, Cleveland’s tax fails Commerce Clause scrutiny because there was no substantial nexus with Cleveland, the tax is not fairly apportioned, and the tax is not fairly related to the services provided by the city of Cleveland.